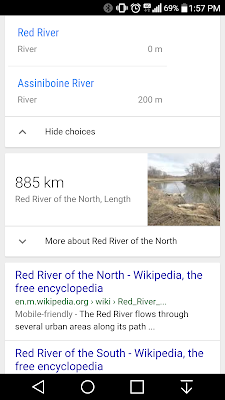 Following this demo, I started up Google Now and asked, "How long is the river?" 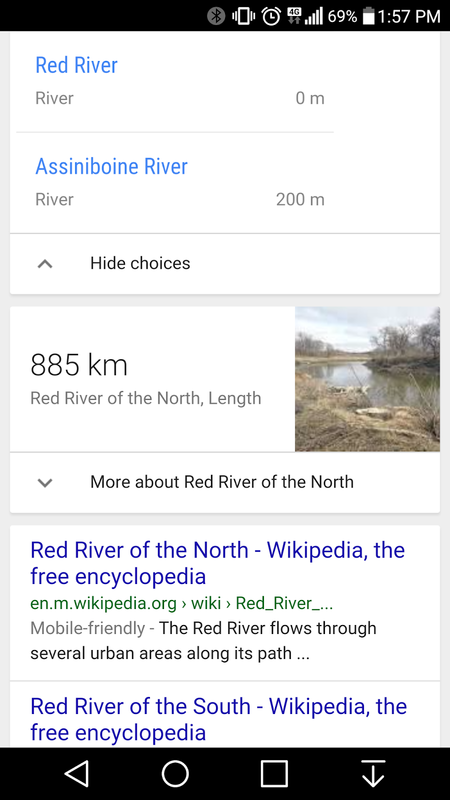 I said, "River River" and was then provided with the answer. Slick! Personally, I find this of good use, especially if you in a hurry. You could be next to a grocery store, but it's closed. You can Google, "When does this store open?" and Google would provide you with the business hours. Some people have said they asked, "When will the next bus arrive?" and with only that said, Google provided bus information for the bus stop they're at. Oh, and in case you didn't notice from the video - Running searches like this will work right from your Android Wear device too!